photo by Scott Hewitt I love the ease of using an electric waffle iron but my one complaint has always been that the browning was uneven. Not any longer! I've discovered the Chef's Choice waffle irons and my waffling will never be the same again! My favorite is the Taste-Texture Select Belgian Waffle Maker 850 because it enables me to make 4 waffles at a time and at record speed. It is also possible to adjust the setting to iproduce different degrees crispness. 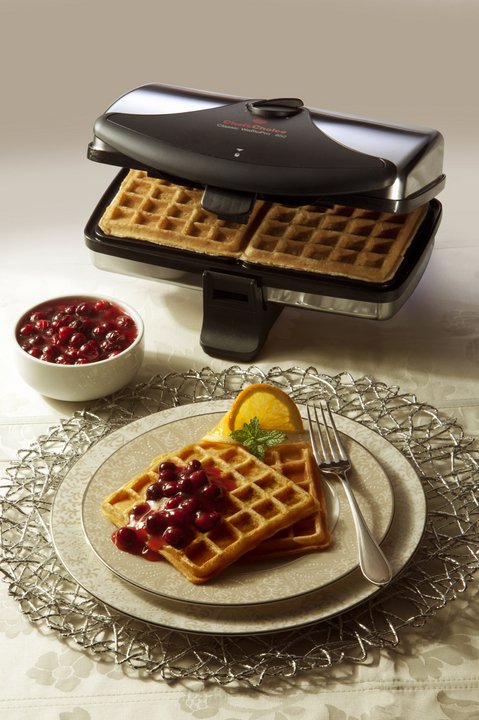 I love the crisp exterior/moist interior setting!Chef's Choice M850 Taste-Texture Select WafflePro Belgian Waffle Maker I also recommend the Classic Choice 852 pictured above which makes two waffles at a time. Chef's Choice 852 Classic Wafflepro 2 Square Waffle Maker Here is my newest waffle recipe I created for the holiday season. Orange Waffles with Burst of Cranberry Topping Serves: 4 These are the most ethereal waffles ever! I like to use the setting on the waffle iron that produces crisp exterior and moist tender interior. The waffles freeze perfectly and reheat in just a few minutes in a toaster or oven preheated to 300˚F/150˚C. Turn the oven to low (150˚F to 200˚F/65˚ to 95˚C). Heat the waffle iron to the desired temperature. In a small saucepan over low heat, or microwave safe container, melt the butter. Allow it to cool to room temperature. In a large bowl whisk the flour, baking powder, salt, and orange zest until evenly blended. In a medium bowl, whisk the eggs, buttermilk, and whole milk until well mixed. 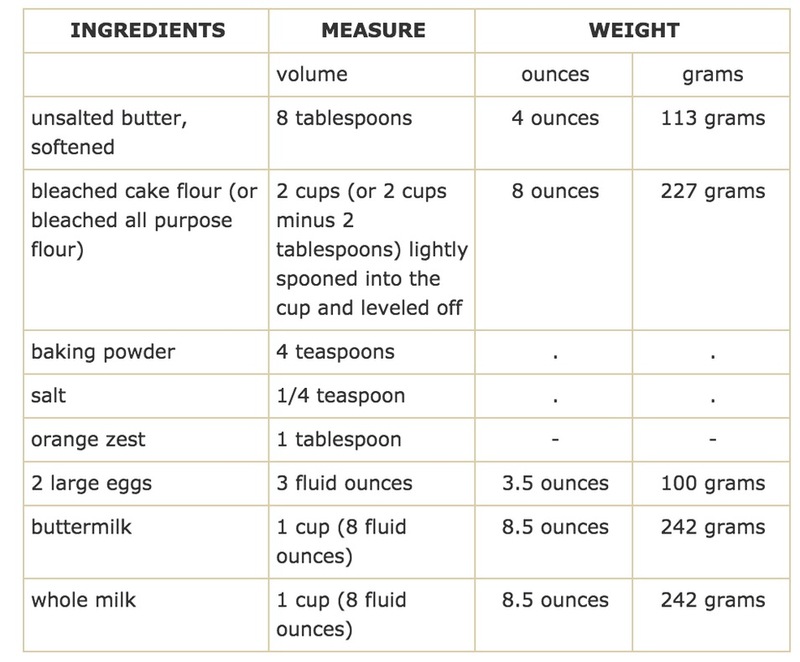 Add this mixture to the flour mixture and mix with a fork just until all the flour is moistened. Stir in the butter just until evenly blended. The batter should be lumpy. Cook the waffles and remove them to the oven racks to keep warm until serving. Serve with the hot cranberry topping.